What should a wrapper component do? In this article, I&apos;ll show you how to wrap a 3rd party widget into a React component using ag-Grid as an example. 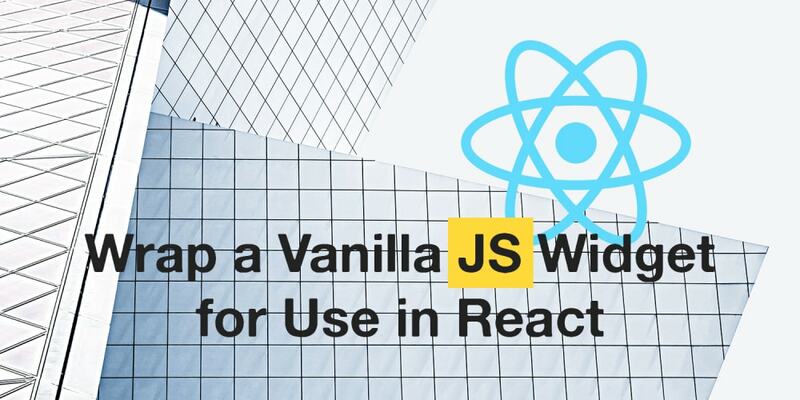 I&apos;ll show you how we set up the mapping between React Props and the widget&apos;s configuration options. You&apos;ll also learn how to expose a widget&apos;s API through a React component. Most widgets can be configured through configuration options. Usually they also define public API and broadcasts events. Grid Properties that enable features of the grid, like row animation. Grid Callbacks used to supply information from your application to the grid when it needs it, e.g. a callback is called each time a menu is shown that allows your application to customize the menu. However, when ag-Grid is used as a React component, we don&apos;t instantiate the datagrid directly. That&apos;s the job of the wrapper component. All interactions with the instance of ag-Grid occurs through the component instance. For example, we don&apos;t have direct access to the API object attached by the grid. We will access it through the component&apos;s instance. We never pass configuration options and callbacks directly to the grid. A React wrapper component takes the options and callbacks through React Props. implement a mapping between input bindings (like rowData) and ag-Grid&apos;s configuration options. Now that we understand the requirement, let&apos;s see how we implemented it at ag-Grid. Before we can instantiate ag-Grid, we also need to collect all options. All ag-Grid properties and events come as React Props on the AgGridReact component. The gridOptions property is used to store all datagrid options. We need to copy all configuration options from React props as soon as they become available. Once the grid is initialized, we need to track changes to React Props to update configuration options of the datagrid. ag-Grid implements API to do that, for example, if the headerHeight property changes there&apos;s the setHeaderHeight method to update the height of a header. Basically we go over the list of ag-Grid&apos;s configuration properties and callbacks and check if any of them have changed. We put all changes in the changes array and then process them using processOnChange method.